Sorry that there hasn't been many posts in the past 2 months or so! Life has been busy and I've been a little more than neglecting of my poor disused blog.. 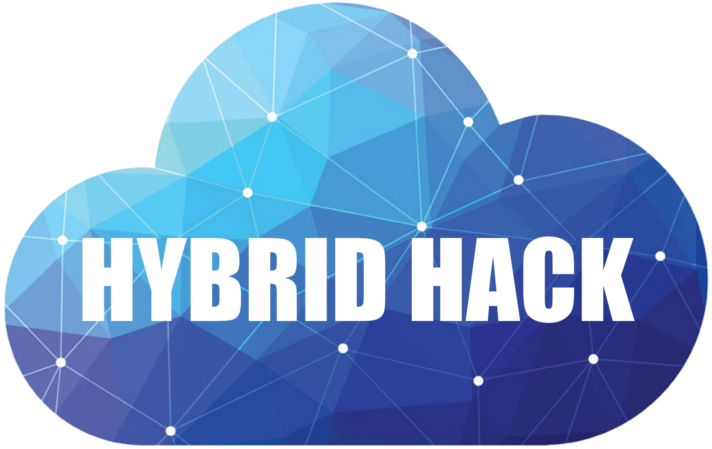 In today's post I'll be going over the HybridHack and what Sam and I (yep, that's the whole team!) created to win the Hackathon. 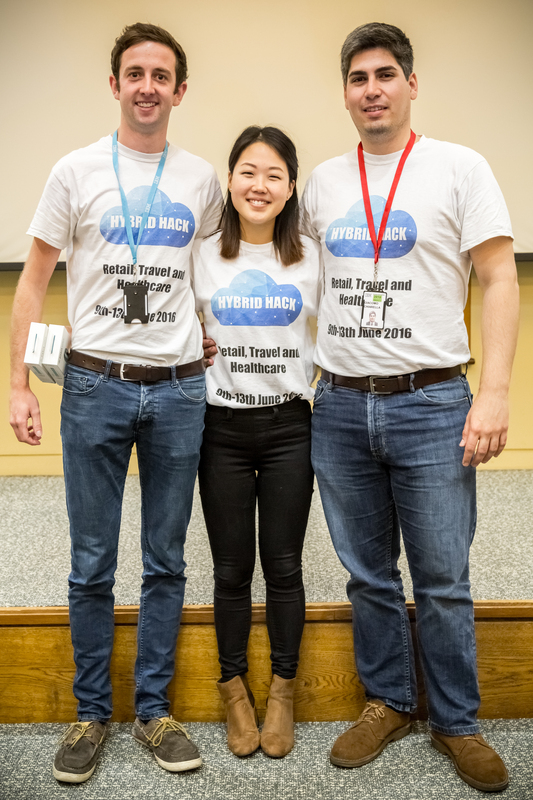 The HybridHack is the follow-up Hackathon to the HursleyHack which I wrote about back in March this year. Our goal was to create something that not only utilised the hybrid cloud, but also solved a major issue for one of the above areas! We had 24 hours to get as much done as possible and a grand total of 5 minutes to present our project to a panel of judges. 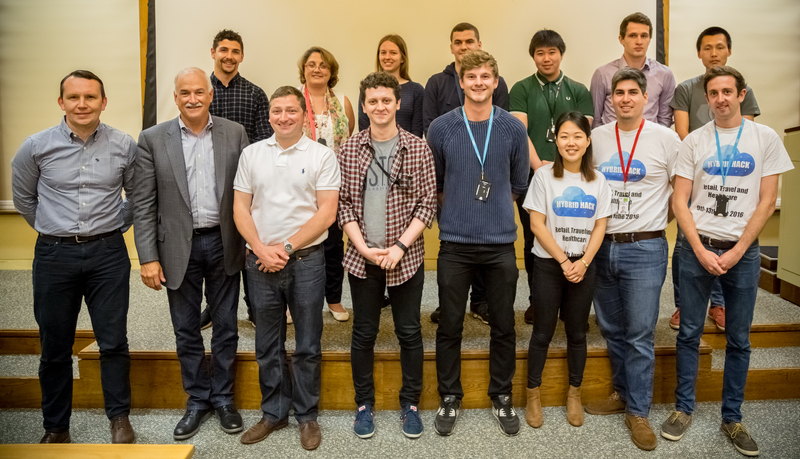 The winning team of each challenge went on to a second round of presenting, this time to a panel of judges including Robert LeBlanc. Robert is the second largest shareholder of IBM and the Senior VP of cloud! Not to mention other goodies..
Judging panel on the left, winners in the centre and the organisers on the right. I was off to a very slow start at this Hackathon unfortunately, all of my intern friends had to drop out of the Hackathon due to various end-of-year commitments. Thankfully I wasn't the only one in that situation and the Hackathon organisers sorted me out with a teammate! My teammate for this hack was Sam, he was lovely! 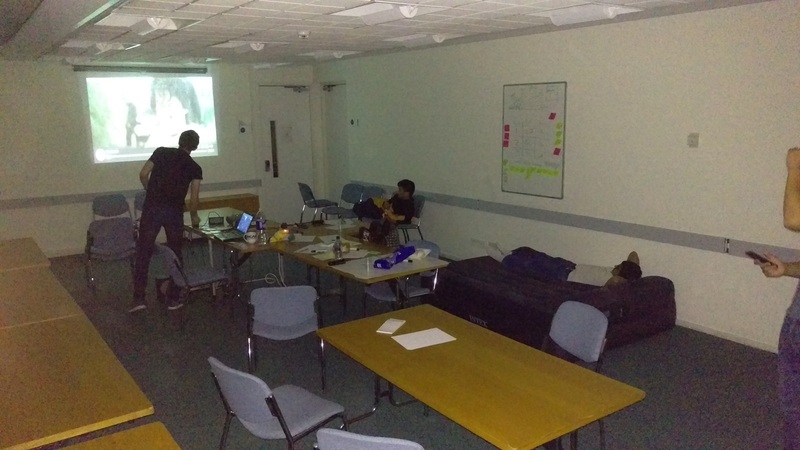 Although we were roughly half the size of every other team in the Hackathon.. What we lacked in numbers, we made up for in sheer gumption! We buckled down immediately and got to work on our chosen challenge. Our aim was to create an application that would help Train Operating Companies and disabled passengers get the best from each other. Sam and I created a web-app (our laptops were too rubbish to emulate smartphones! ), built using a Node-RED boilerplate, an MQ-light (Message Queue) core and various Watson APIs to create an application that allowed disabled passengers to communicate via text-messages and voice recordings with train staff both in-station and in-train. After a massive 24h sprint of effort for Sam and I, we had finished! So we got up with the other groups and got ready to sum up the past 24 hours in 5 minutes. We made a nice Prezi and had our timings down to about 4 and a half minutes, including our user story. We ended up winning our challenge and getting through to the next stage of presenting! At this point we had to go home and spend the weekend recovering from our stint of work without sleep! Back to work on Monday, we got front-row seats to Robert LeBlanc's talk in the Hursley canteen and then had to run down to the Hursley House to get prepared for our presentations. 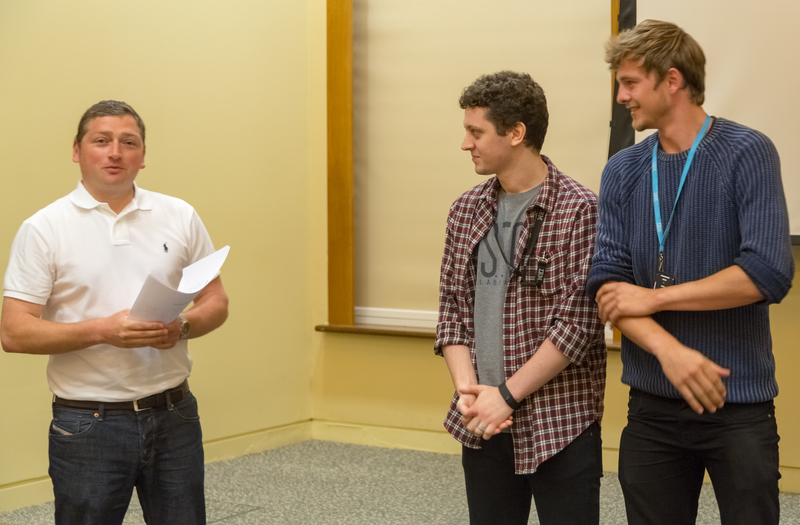 Each of the challenge winners presented their ideas and the judges deliberated. Sam on the left, myself on the right. I might have forgotten how to work my face..
We won a Fitbit Aria each, which was a slight shame in my case as the astute will have realised.. I have a Fitbit Charge HR! It did make an excellent Father's day present though. We also got taken out to dinner by Stephen Warwick, the head of UK labs and Andrew Brown the VP of worldwide sales. A very fun evening after work, especially considering this was my penultimate day at IBM! So fingers crossed I'm a shoe-in for my graduate assessment centre in a weeks time.. 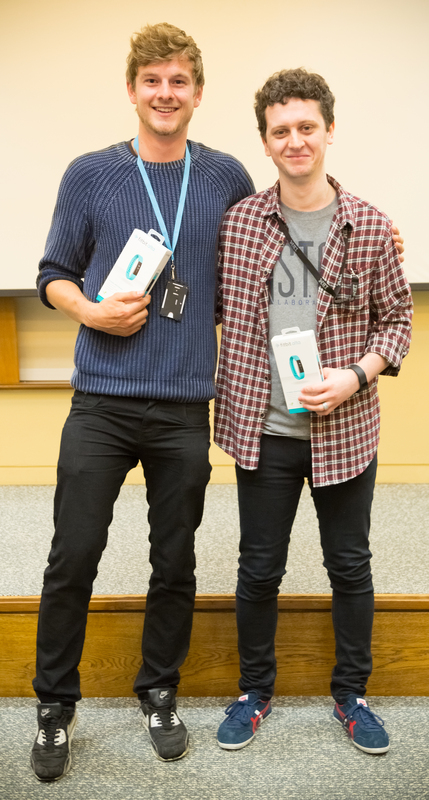 I then had my final day in IBM Southbank, it was a very busy day because there was still so much buzz from mine and Sam's Hackathon win! People from all different areas of the UK and the business we're dropping us messages congratulating us and wishing us the best! Since I've left IBM the project has even been taken to parliament and presented to the Department for Transport, with the project being pushed for development by Ben Burton-Brown the Rail Industry head of sales for IBM UK. We've also just got an intern from the Emerging Technologies department, so fingers crossed! 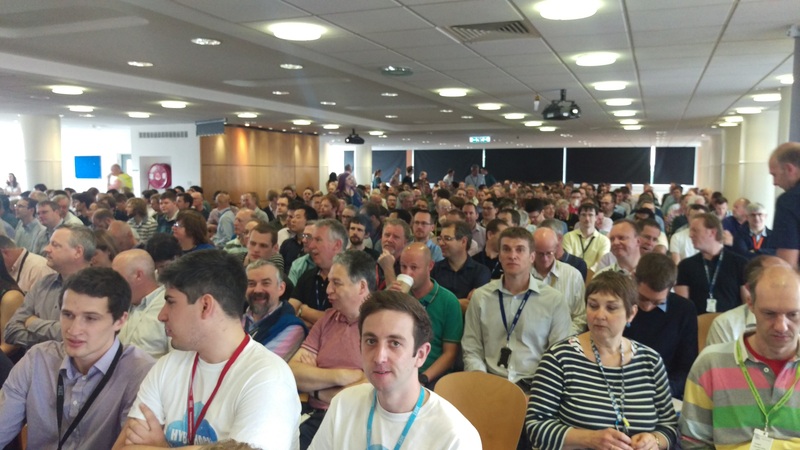 This will be my last post about IBM for the foreseeable future so I'd like to wrap up by saying thank you and showering praise upon the three organisers of two of the Hackathons I attended this year. Thank you guys so much for not only organising these super cool events, helping all of us interns out who felt super out of depth and for being absolute wizards of your trade!